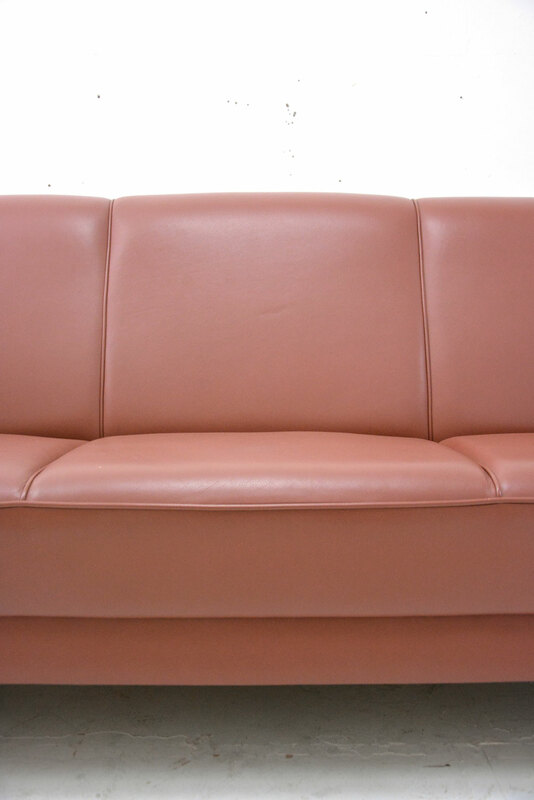 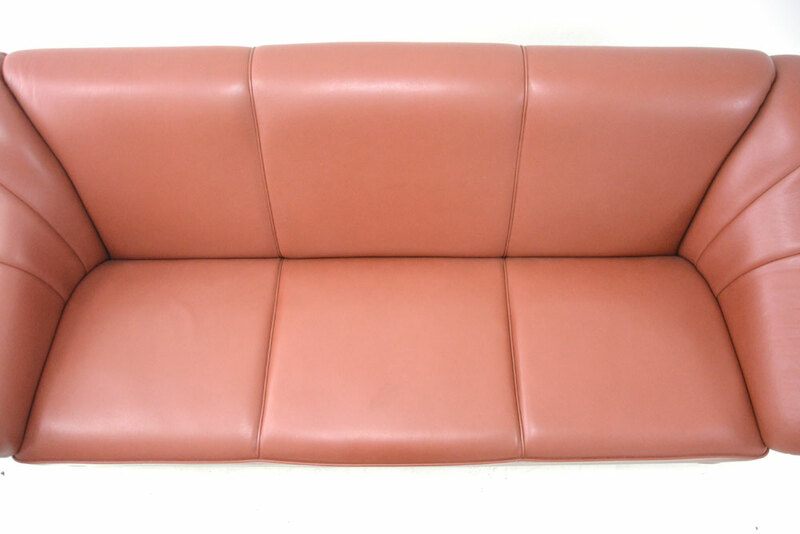 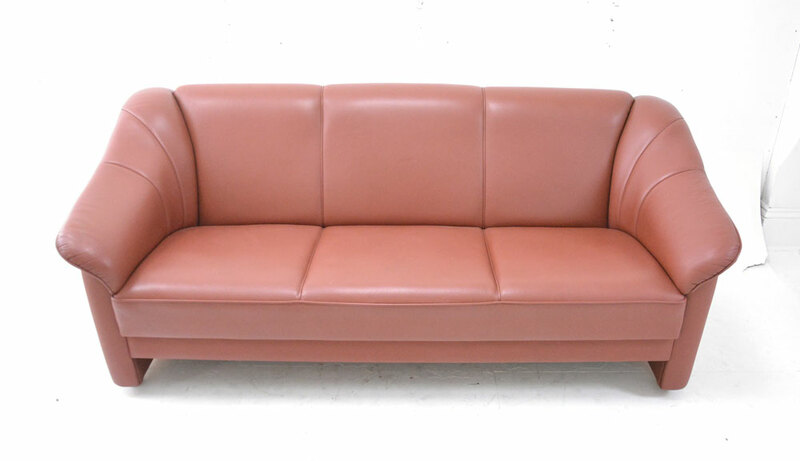 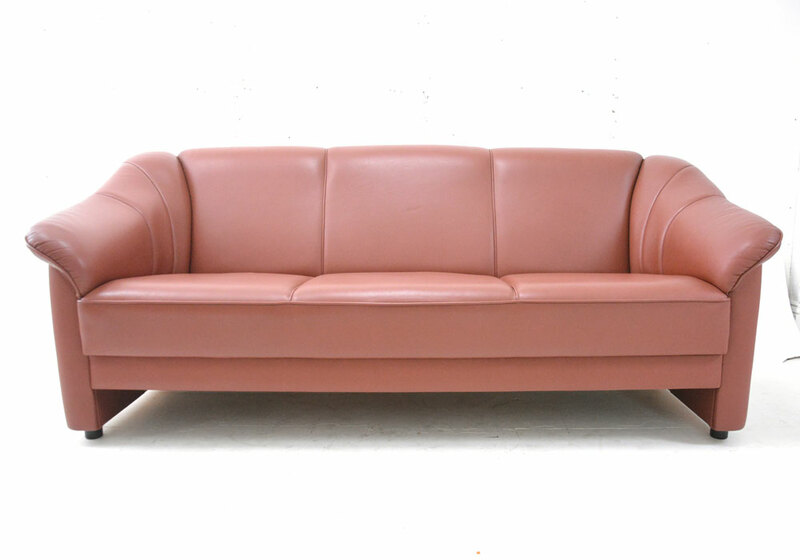 Modern Danish 3 seat sofa in brown leather upholstery. 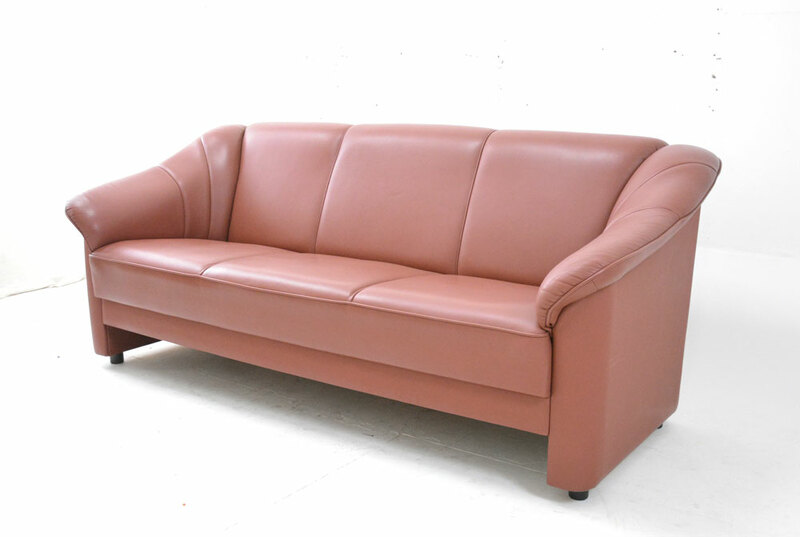 This lovely 3 seater sofa is supportive & comfortable, and is perfect for use in a living room. 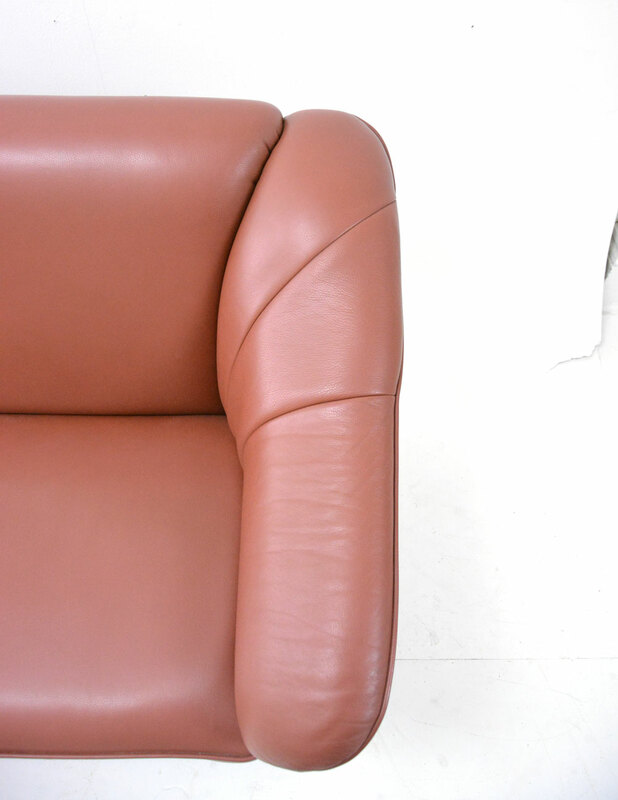 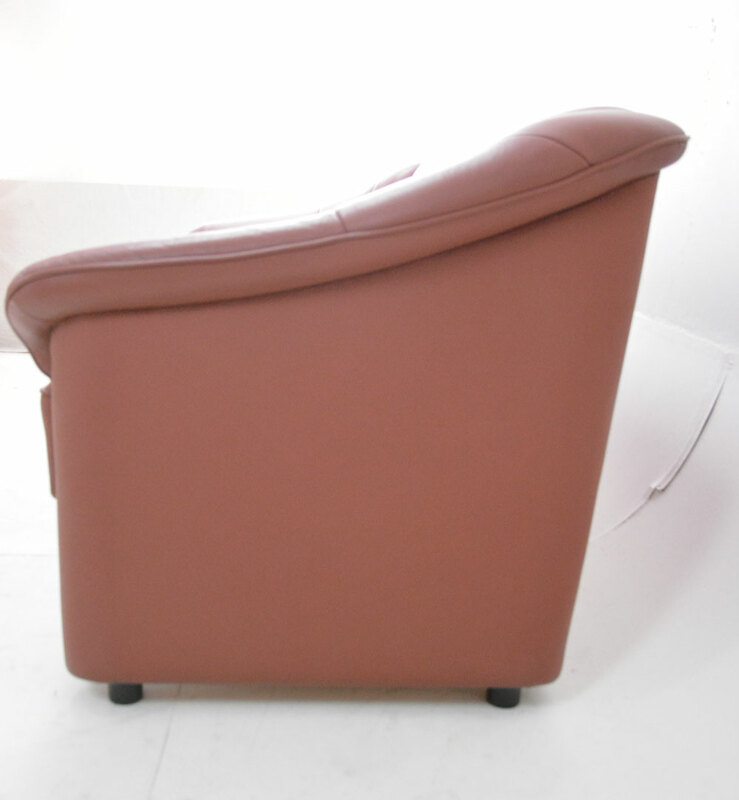 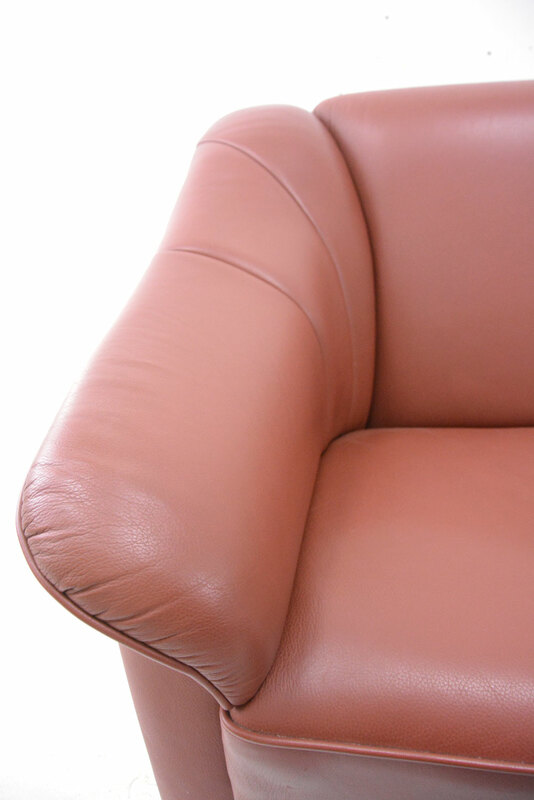 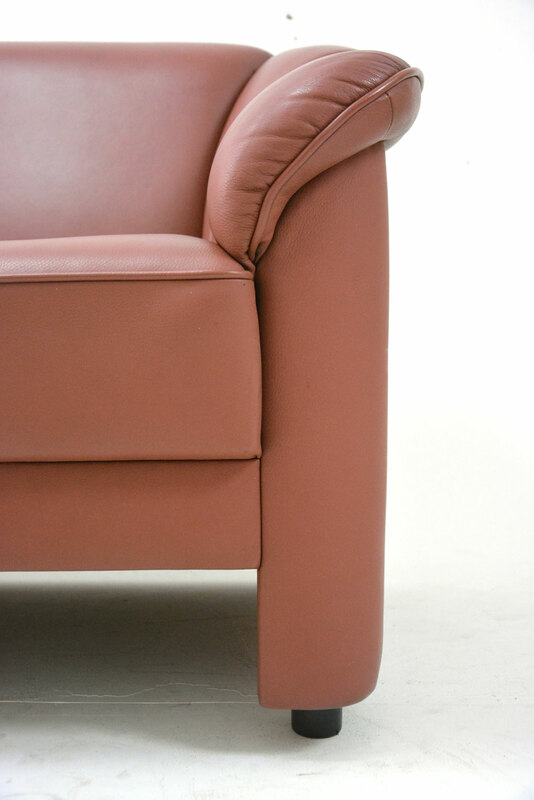 The sofa features wide arms which curve up into the back rest, making for a comfortable seating experience.